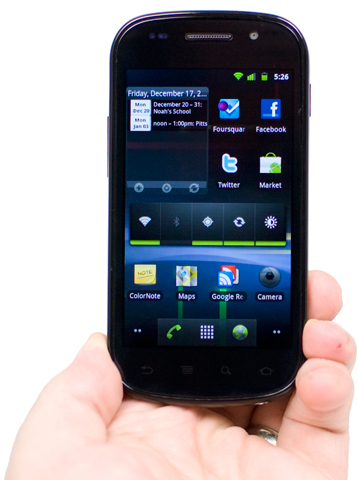 The Samsung Nexus S offers a pure Google experience on a slick Android phone. There's no carrier apps, no interface tweaks, but is there enough to satisfy buyers? The Google Nexus S by Samsung offers a pure Google experience in a shell reminiscent of, but slightly more stylish than, Samsung's successful Galaxy S phones. What does pure Google mean? If you're not sure, you're probably not the target audience for this phone. I thought the unlocked one would be compatible with the service. --or are the photos for this review popping 'in' instead of 'out'? I'm using the latest stable version of Chrome.